Helix has spent the past few years working to build a unique marketplace that’s focused on empowering you to improve your life through DNA. In that time, we’ve partnered with leading companies to launch more than 30 DNA-powered products of all kinds. Want to learn about your ancestry? We got that covered. Want to know more about your health? We got that covered, too. But what if you’re not sure what you want? Maybe you want to give the gift of DNA discovery to a friend or loved one, but you aren’t sure which product to get. Don’t worry—we have the answer! We’re proud to announce the arrival of the Helix DNA Discovery Kit—a kit that offers both the power of DNA sequencing and the power of choice. The DNA Discovery Kit is uniquely designed to set you on the path to a lifetime of DNA learning at an amazing price. While we’re sequencing your DNA, you can track the progress in our lab simply by checking your phone. Download the Helix app for iPhone to follow along as your DNA is sequenced, and dive into related content that will help you learn about genetics in some fun ways. Once your DNA is sequenced, you can use the app to access insights, manage your Helix account, and learn about new products in the Helix Store. Once your DNA is sequenced, you’ll have access to Ancestry Basics and Wellness Basics right from the Helix app. 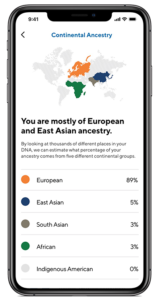 Ancestry Basics offers you some starter insights into your genetic ancestry—what regions of the world your ancestors may have lived in, and how some of the genes you inherited from those ancestors might affect you today. 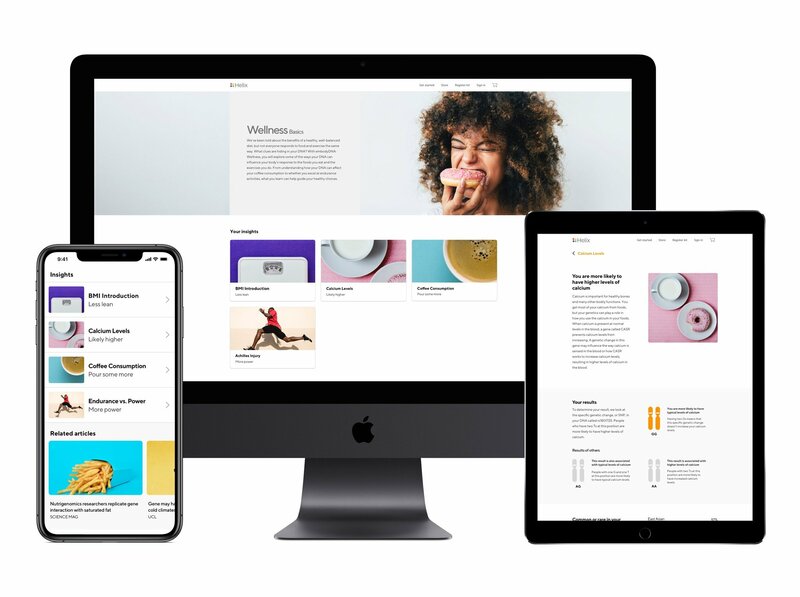 Wellness Basics gives you a sample of wellness insights by analyzing your DNA to see how it may affect traits like coffee consumption, body mass index (BMI), and more. 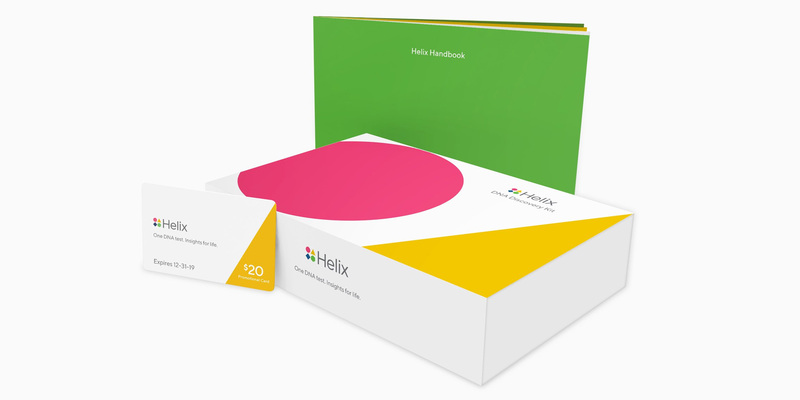 The DNA Discovery Kit comes with everything you need to submit your sample to Helix. Just add your saliva to the collection tube, tuck it away in the mailer provided with the kit, and ship it on back to us (we even include postage!). Once we receive it, our lab will sequence and securely store your DNA data so it’s ready to use with any product in the Helix Store. Having your DNA sequenced is cool, but the next step is using that sequence to empower your life. How you do that is up to you! If you’re looking for some fun, you might consider products from Dot One, which use your DNA sequence to generate clothing that’s as unique as you are. Other products will help you read the parts of your DNA relevant to health, wellness, or ancestry. To help you get started, we’re pitching in $20 to use on any of these great choices.